Fāṭima al-Badawiyya [Fatima the Bedouin] is the second novel by 'Afifa Karam. It was publishedin New York City in 1908. 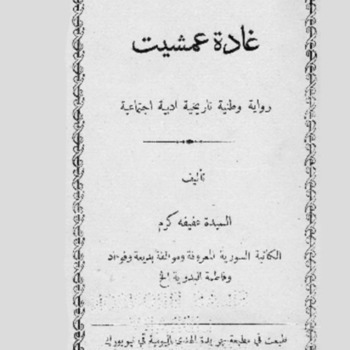 غادة عمشيت, Ghādat ‘Amshīt [The Girl from ‘Amshit], is 'Afifa Karam's last novel, published in New York City in 1910.